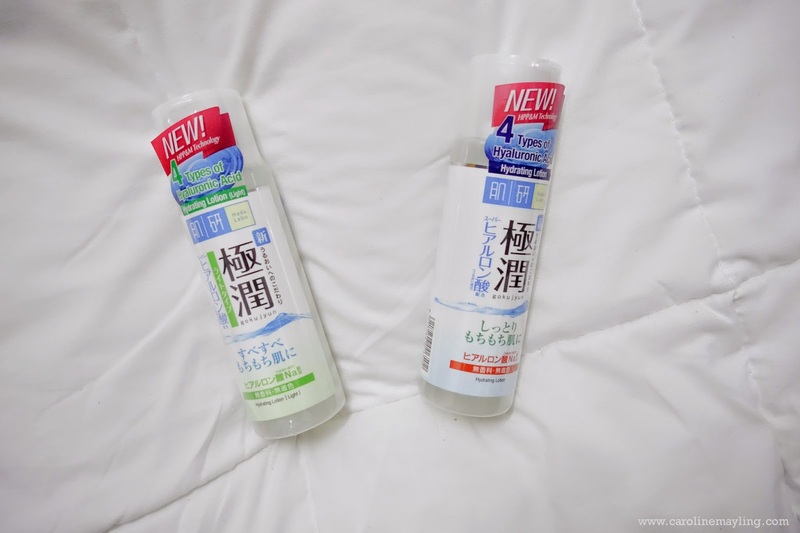 Here's a great news for Hada Labo Hydrating Lotion fans out there! Hada Labo unveils its new improved Hydrating Lotion which lastingly hydrates and nourishes the skin for smooth, radiant and crystal-clear skin. We all know that the secret of to deep moist skin lies in getting moisture to work effectively across all layers of the skin. With this in mind, Hada Labo introduces its new Hydrating Lotion which now carries a new and enhanced HPP&M (High Performance Penetrating and Deep Moisturizing) technology actively infuses 4 types of Hyaluronic Acid (HA) to fully hydrates skin from the surface to inner skin layers for significantly soft, smooth and supple skin, and to prepare skin for enhanced absorption of skin care ingredients. 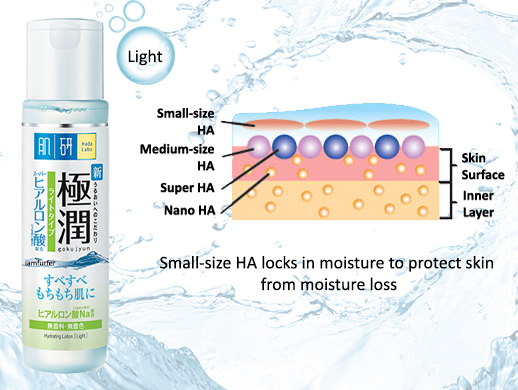 Large-size HA - Forms a layer of moisture retaining barrier to protect skin from moisture loss. It covers the Medium-size HA firmly to effectively provide skin with a powerful double later moisture-locking shield to lock in moisture on the skin. Super HA - With 2 times the moisture retention capacity of HA, it is able to mimic the natural moisturizing ability and combine with Medium-size HA to lock in and retain large volumes of moisture inside the skin for super hydration. Nano HA - With the fine molecule size of 1/20 of HA, it easily penetrates and infuses moisture deep into the skin to prepare skin for enhanced skin care ingredient absorption. With a superior combination of all four Hyaluronic Acids, the new Hada Labo Hydrating Lotion locks in the moisture to the skin to reach its optimal radiance and translucence that helps revitalize dehydrated skin, making skin feel significantly softer and suppler. It is mineral oil free, fragrance free, alcohol free and colorant free. Many of you (including me) worry about if it suitable to our skin type because I know the previous Hydrating Lotion is too rich for my skin and caused breakouts. Fret not, with the new formulation, Hada Labo Hydrating Lotion has a rich texture and it is formulated for dry and normal skin; whereby Hada Labo Hydrating Lotion Light has a lighter texture that is non-sticky and refreshing, suitable for oily, combination and acne-prone skin.